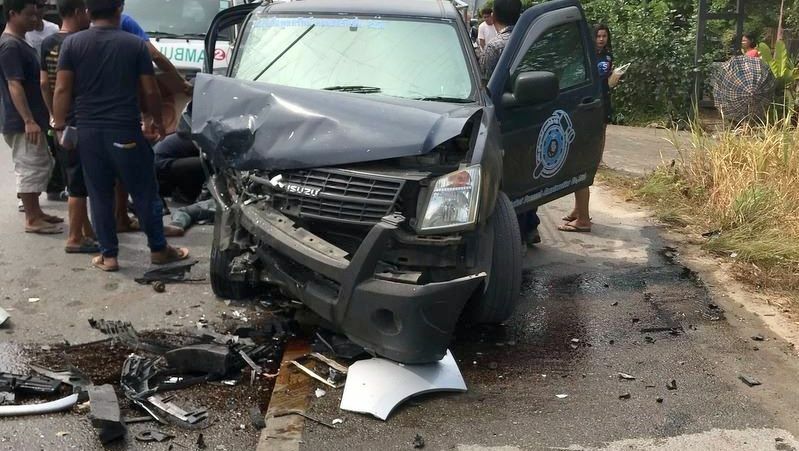 PHUKET: A major accident caused by a pickup truck driver falling asleep at the wheel has left a woman dead and man injured. 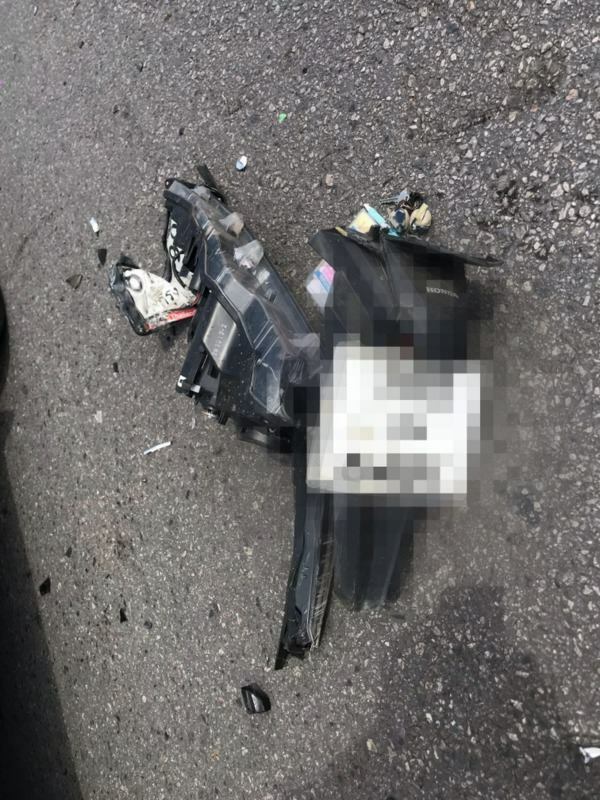 The accident happened on Srisoonthorn Rd on Wednesday afternoon (Mar 20). 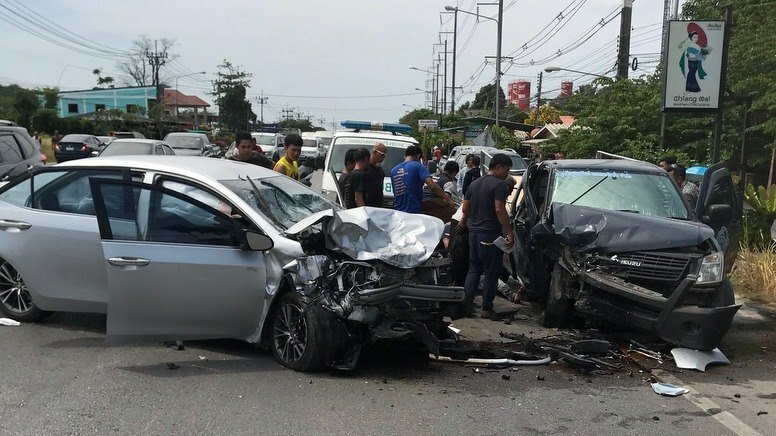 Thalang Police arrived a the scene between Manik and Cherng Talay to find a pickup truck, a sedan and a motorbike badly damaged. The motorbike was totally wrecked as the front end was ripped off while both the pickup truck and the sedan were badly damaged at the front right side. “Also at the scene was Mr Pradit Reucha, 39, who was driving a blue pickup truck. 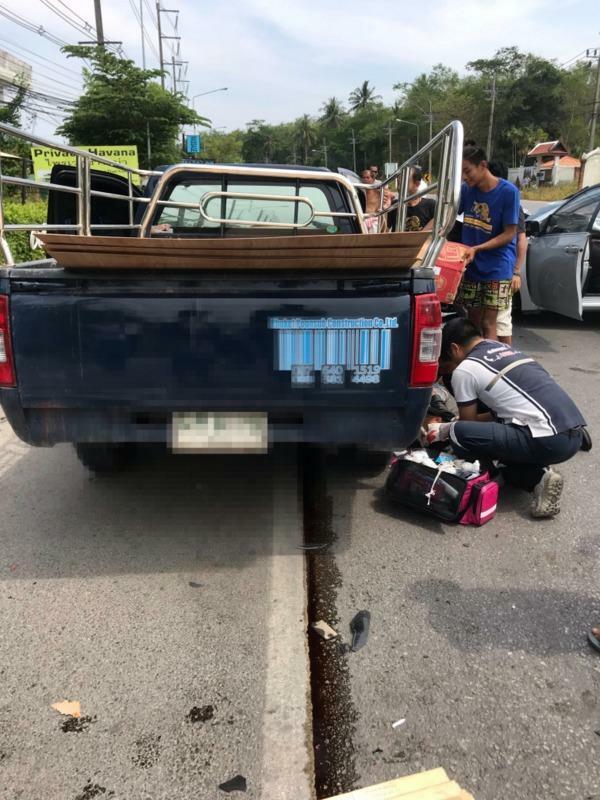 He was injured in the accident and was given first-aid by rescue workers beside his truck before being taken to Thalang Hospital,” Capt Wutthichai said. The driver of the sedan, 28-year-old Detwat Techanithisawad, escaped unharmed. 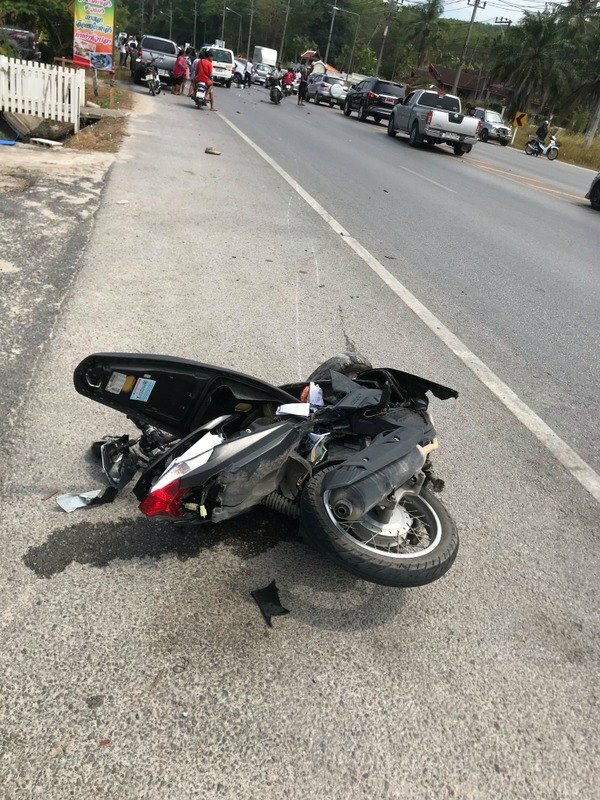 “Initial investigations revealed that Mr Detwat had fallen asleep whilst driving along Srisoonthorn Rd and collided into the pickup truck and the motorbike,” Capt Wutthichai explained. He confirmed that no charges have been filed yet as the investigation is ongoing. No other place in the world has more drivers falling asleep or more vehicles with faulty brakes. Of course this is just an excuse for the reckless, selfish, impatient, aggressive nutcase drivers. Every day I see several jackasses doing something crazy. Crossing the center lines on every curve. Passing with oncoming traffic. Ghost riding even in pickups. Speeding through villages. So many crashes, injuries and deaths for such a tiny island, it's like russian roulette out there but does anyone care anymore? Happens so often I doubt it... How ironic the idiot driver who fell asleep escapes without a scratch, typical.